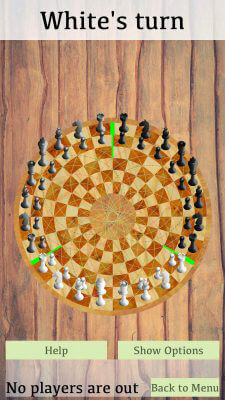 The official app version of the “3 Man Chess: In the Round” board game! 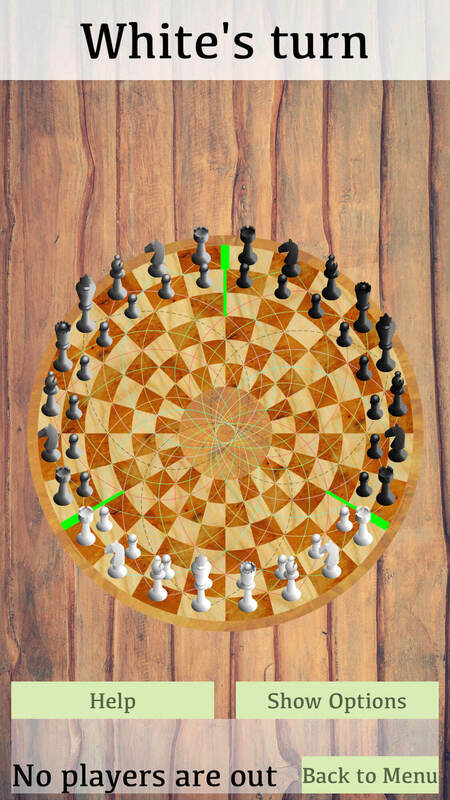 Play a variant of chess which has 3 players on a circular board. 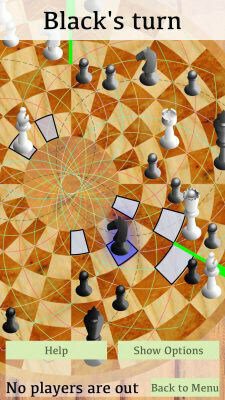 The unorthodox shape allows for strategies not possible in normal chess: A rook or bishop can loop around the whole board. 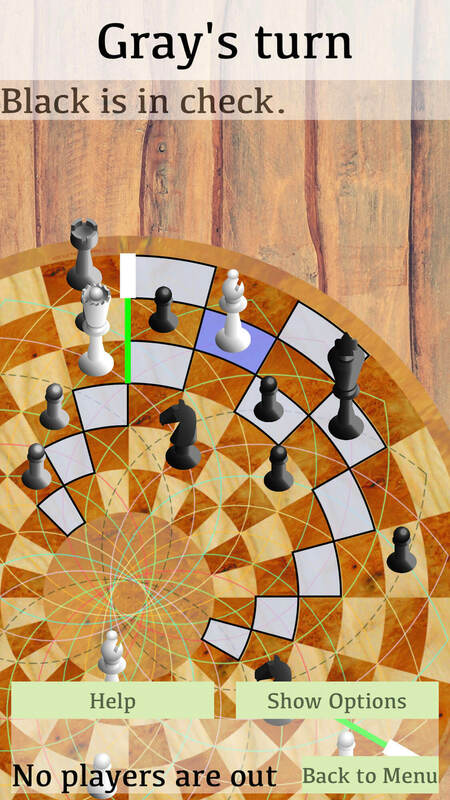 Two players can work together to checkmate a third, or one player could potentially checkmate both others at the same time. 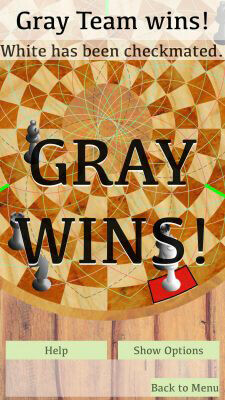 The possibility of temporary alliances and backstabbing among the players gives a dose of political intrigue to the classic chess formula. Local multiplayer via Bluetooth or local Wi-Fi. Or just pass one device around between 3 people. Save your games to come back to them later. Transfer a game in progress to other devices in multiplayer. Turn-by-turn replays of your matches: pause, adjust the speed, or stop in the middle and play the game from there to rewind. 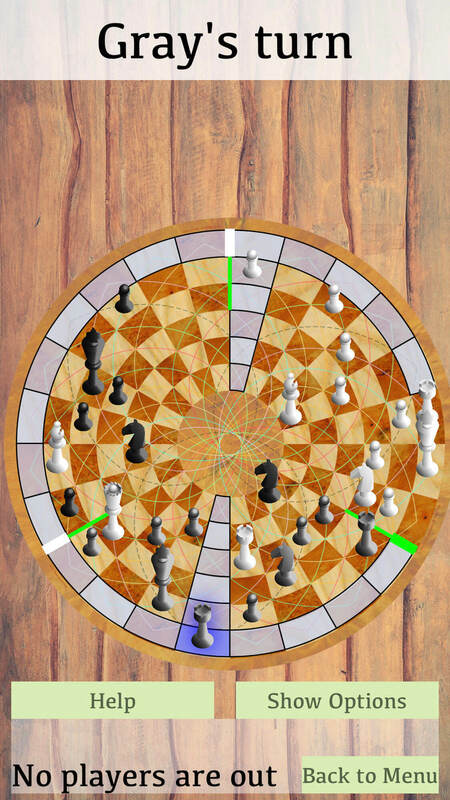 You can display all the locations a piece can move to for easy learning, or hide them to have a more competitive setting. 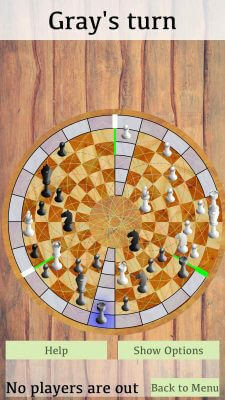 Very few changes from traditional chess rules; just enough to make the 3rd player and round board work. 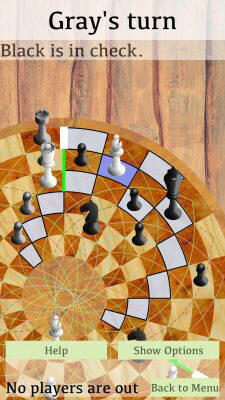 All official chess and 3 Man Chess rules are included, and are enforced during gameplay. More detailed instructions for using the app and setting up multiplayer are included as well. The all-important ability to zoom in, especially useful for phones.